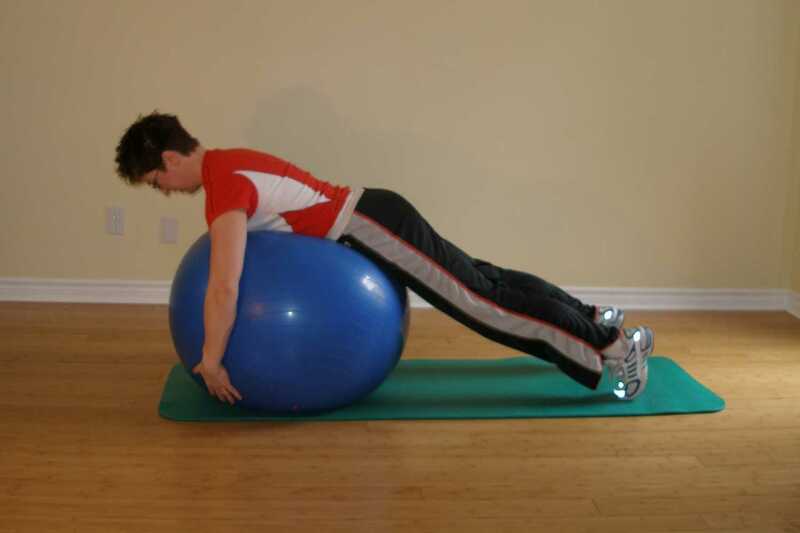 Start this ball plank exercise by lying over the exercise ball and hug it with your tip toes on the ground behind you. Keep your trunk, hips and legs straight from your head to your feet. Spread feet just beyond shoulder width apart. Roll the ball gently side to side. Lift your leg straight up as you roll. 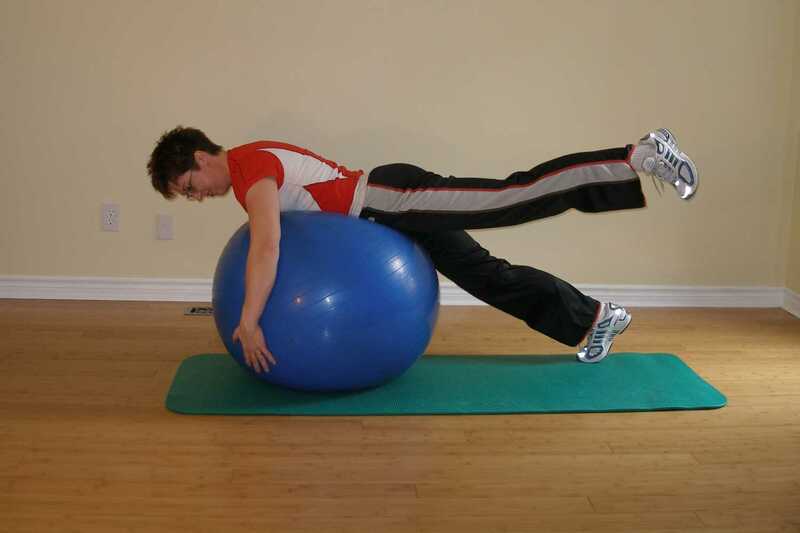 Start with small amplitude movements and gradually increase your roll as you feel comfortable. Try pausing before changing direction. Try Trunk Roll 1 or Trunk Roll 2 to further challenge your balance.